Cara paling efektif untuk melatih dan meningkatkan kemampuan speaking adalah dengan practice sesering mungkin. Salah satu cara untuk melatih kemampuan speaking jika kita mempunyai “partner” speaking atau saat berada dalam kelas, adalah dengan menggunakan conversation starter. Apa itu conversation starter? Conversation starter adalah daftar pertanyaan yang bisa kita gunakan untuk memulai pembicaraan. Dan cara ini sangat efektif untuk melatih speaking, karena jawaban yang muncul ada jawaban yang spontan. Jadi bisa melatih “automaticity” kita dalam speaking. Dibawah ini sudah kami rangkumkan banyak conversation starter yang bisa anda gunakan dalam speaking dan exercise anda. If you had to live in another country, which one might you choose? If you could eat only one thing for three days in a row what would that one thing be? What is the one main thing that you would like to be remembered for? Your biggest pet peeve, what is it? Would you care to share with me your most embarrassing moment? What are your three main goals in life. Would you ever want to know the future? Why or why not? What was the dumbest thing you have ever done? What was the worst job you ever had to do? What do you think is the sexiest part of a man’s/woman’s body? Can you describe to me what would be the perfect day for you? Who in your family do you take after the most? Where did you go travelling to on your last trip/vacation? What was your most memorable childhood experience? What was your favorite childhood cartoon character? How did you get your name? Do you know what it means? What is the most expensive restaurant you have ever been to? On a scale of 1 to 10 how well do you think you sing? How many countries have you been to? How many states? Can you play a musical instrument? Wish you could play which one? Do you like to cook? What is your favorite dish? What’s the best and worst thing that happened today? If you were in charge of the music for our family vacation, which songs would you pick? Which TV family is the most fun to watch? If you could have a wild animal from anywhere in the world as a pet, what animal would you choose? Where would you go for a dream vacation? What is one thing you could absolutely not live without? If you could live in any time period, which one would it be? What is your favorite thing you learned today? If you had to eat just one food for the rest of your life, what would it be? What is one thing you want to accomplish in your lifetime? What book are you reading right now? What do you like about it? What do you dislike about it? If you could donate $1,000 to any charity, which charity would you select? If you could trade lives with anyone, who would it be? What’s your favourite midnight snack? What was the worst purchase you ever made? What did you like best about high school? What reality show would you go on and why? What is the most embarrassing CD you have in your collection? Have you travelled much? Where? What was it like? Which country would like to visit? Do you have any brothers or sisters? Younger or older? Do you ever have breakfast foods for snacks? What do you think about ….? What TV shows do you enjoy? What’s the one movie you watch over and over? What was your first job, and what was it like? someone you have chatted with before, rather than on first meeting. You are stuck on a deserted Island, and you can only take 3 things. What would they be? You can only eat 5 different foods for the rest of your life, what are they? You can only listen to 3 CD’s for the rest of your life, what are they? You are stuck in a cabin for 2 years, what 5 movies would you take with you? If you could pick anyone, which three people would you invite to your dinner party? I always liked these questions. To number 25, my favourite answer ever was: A jar of sand, a bottle of sea water and a photo of a deserted island. I would love to hear what your answers are to these, so please leave a comment or message me. What’s the one place you want to visit on vacation? What type of work are you in? Why did you choose that career path? Hi, have you been here before? Work functions are more formal that other gatherings, so I have found it good to ask general, less personal questions, especially when you are meeting people for the first time. What TV shows/movies do watch? How do you typically enjoy the weekends? What sports do you play or follow? How old do you believe a child should be before he/she can date? Why? If you had to live in another country, which one would you choose? If you could only eat one food, and nothing else, for three days in a row, what would it be? What’s the one thing you’d like to be remembered for? What do people often misunderstand about you? What’s your idea of a perfect night out – or in? What’s your ideal vacation length? Describe how you’d like your life to be five years from now. Ten years from now. Does chemistry happen immediately, or does it build over time? Which characteristic could you live without in a life-long partner: sexuality, intelligence, or financial stability? When was the last time you lost your temper? What percentage of the time are you comfortable with yourself? Admit your favorite guilty pleasure. What are your three main goals in life? Name your worst pet peeve. Are you ever guilty of it yourself? If you could go back in time and relive one day in your life, which day would you choose and why? If you could eliminate one crime, what would it be? Tell her about your passions, what do you love doing? Find out what she loves doing. Tell her what you like in a woman and ask her about what she is looking for in a man. First time any of you broke the law? What surprising skills does she have? How is she a rebel? What event has changed her life destiny? Most hated chore on the chore list? What’s your theory on deja vu? What level of school was your preferred one? What outfit makes you feel the most sexiest or confident? Best gift you ever gave/or got from someone? What is the one cleaning tip you swear by? How would you like to be remembered when you are dead and gone? How do people often misunderstand you? Last time you lost your temper? What stresses you the most? Three main goals in life? Which movie/book are you ashamed to admit you love? What is the one book you think everyone should be required to read? Is your week going well? Have you been working there along time? What’s your favorite/worst part of your job? Do you believe in star signs and astrology? Do you cook? What’s your favorite dish to cook? Do you like animals? Which ones? What’s your favorite artist or band? Do you like reading? What type of books? Can you name something quirky about yourself? Are you a nature person? Do you like ‘outdoorsy’ stuff? What’s your favorite place that you have visited? Did you enjoy growing up there? What was your favorite part of high-school? Did you go to college? What was your major? Where are you parents from? Do you have you any nephews or nieces? Are there a lot of bars or clubs there? Which are your favorite places to go out to? Do you have a special place to go to? List the top 5 places you’d like to travel to. List the top 5 things you’d like to accomplish before you die.Who is the most important person in the world to you? What’s your dream job and why? Where do you see yourself in 5 years? Do you have a plan? If you were marooned on a desert island, what 3 things would you take? Describe yourself using 5 words. What’s the craziest thing you’ve done? What’s the funniest thing you’ve done? What are 3 things you’ve never done, but you would like to try? 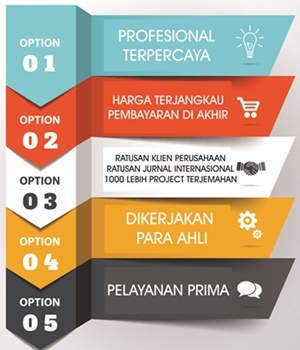 Untuk speaking itu apa dan bagaimana tips jitu untuk meningkatkan skill speaking kita, akan saya posting ke depan. Tetap semangat dalam belajar bahasa Inggris, dan sukses…!